Lots of factors can push you in the direction of persistent insomnia: chronic stress, rumination and worry, and too much time in bed, to name a few. Another factor that increases your susceptibility to insomnia is physiologic “hyperarousal,” sleep experts say. 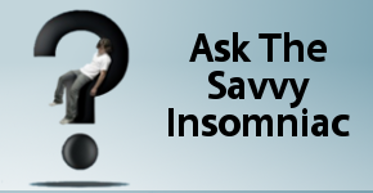 Another factor that increases your susceptibility to insomnia is physiologic “hyperarousal,” or so some experts say. 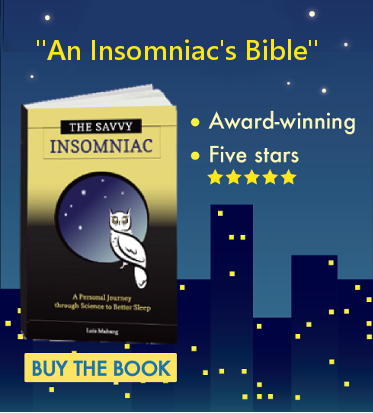 Measures of heart rate, metabolism, stress hormones, and body temperature have shown that insomniacs are cranked up a notch higher than normal sleepers. At first blush the idea may seem like a stretch. When you think of what hyperarousal might look like, you think of multi-taskers who can scarf down an order of General Tso’s while answering email and jabbering on the phone. Or maybe you think of the person who crowds you at the checkout counter or who tailgates your car. If you have trouble sleeping, chances are these profiles don’t fit yours. You’re more likely to slog through the day, hard-pressed to muster enough energy and sharpness to do your job. It’s tough to imagine this kind of exhaustion could square with being hyperaroused. after a bad day at work? after an argument in the evening? before an important meeting the next day? If your answer is “likely,” if your sleep is prone to disruption by stressors that good sleepers can often park at the bedroom door, this could be a sign of physiologic hyperarousal – at least in the eyes of the researchers who created the FIRST. Christopher Drake and colleagues claim this sleep-related vulnerability to stress, combined with other measures of arousal in our bodies and brains, make people vulnerable to persistent insomnia. Thursday’s blog will examine a way to lower your arousal levels and increase your tolerance to stress. Oh, boy. Now I have to choose between life and sleep.